Johnnie is currently a second-year Physician Associate (PA) student at the University of Oklahoma Health Sciences Center (OUHSC) as well as a 2017 Tillman Scholar recipient, and a former Fleet Marine Force (FMF) Navy Corpsman. He earned a Masters of Science Degree in Biostatistics and Epidemiology from OUHSC in 2007, Bachelors of Science in Microbiology from the University of Oklahoma in 2005, and an Associates of Applied Science in Emergency Medical Science from Oklahoma City Community College in 2016. 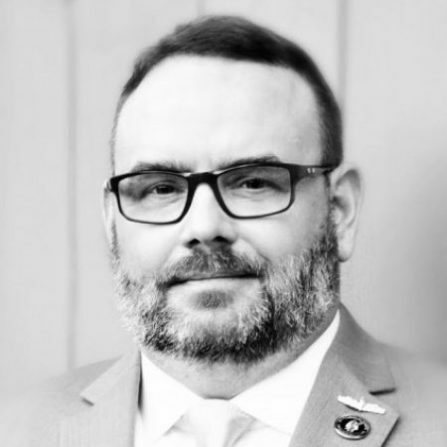 He currently serves as the International Hyperbaric Medical Foundation (IHMF) Executive Board Secretary, promoting the use of hyperbaric medicine to treat PTSD and TBI injuries in veterans. Most recently, he served as a Student Delegate at the 2018 American Academy of Physician Assistant’s House of Delegates meeting. Since 2007, Johnnie has served as a prehospital emergency care and disaster response epidemiology consultant for multiple local, state, and national agencies.